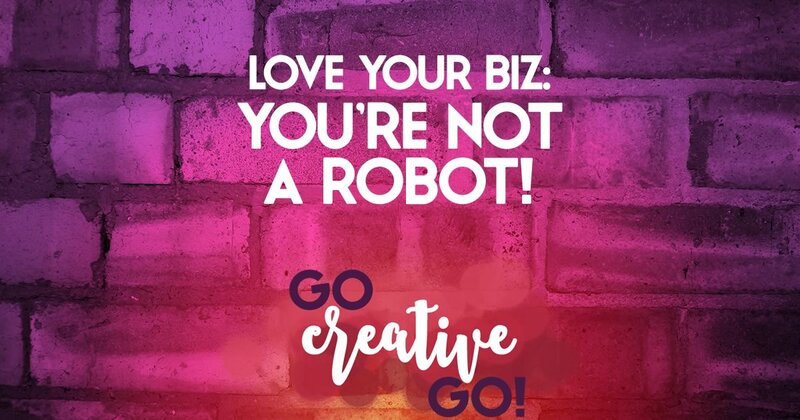 Better Business Love: You’re Not A Robot! If you love what you do, you’ll never work a day in our life! I’m sorry, but to resort to some pre-Super Bowl football language, I’m going to have to throw a flag on that play! I work my proverbial pardukey off each and every day, including evenings, weekends, holidays and sometimes while I’m on vacation. Working hard, working long hours, building your business – they’re part of loving what you do, part of building that better business! Sometimes I work through illness and sometimes I have to cancel fun plans to meet deadlines or to keep on track with monthly tasks, reporting and goals. I still love what I do, but I do, occasionally, have to give things up. It’s the me that I put into the effort that makes me love what I do, what I produce. My love for what I do doesn’t control me, or automate my actions. My love for what I do allows me to better control my business. I make decisions, some more difficult than others. I don’t just forge forward each day on the same path, automatic, automated and robotic. We’re not robots, we’re human beings. We get tired, some days we’re feeling more up or decidedly more down than others. We get sick, get the sniffles, have bad hair and pajama days as we settle in front of the computer. This, our humanity, is what we pour into our businesses. Sometimes we get angry, sometimes we get snarky, sometimes we get sarcastic. While we don’t want to let these feelings pour unabated into our business, the occasional sharing of our “human side” can actually appeal to present and potential clients. Just as you wouldn’t automate everything you share via social media, you can’t automate everything about yourself when you’re running a business. To say “you’ll never work a day in your life” if you love what you do demeans that love. Because we go all out, give our best and make the most effort when we’re really into something, when we really love what we do. Hopefully this is another ridiculous blanket statement debunked. Snow Snark: Social Media Gone Too Sarcastic? Pardon Me While I Promote Myself!